I finally finished up a backpack for Sydney using Made by Rae's pattern. Just in the nick of time as she's starting her day care/school/whatever they call it these days tomorrow! I keep telling myself it's only two days a week but the idea that she won't be hanging out with me tomorrow is kind of bizarre. 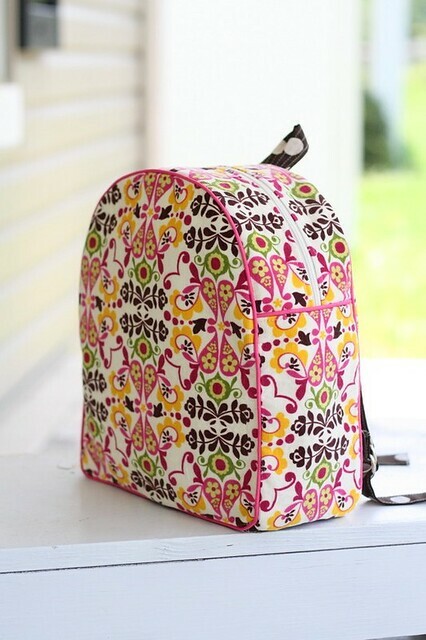 I like how the backpack turned out but wish I could have used a canvas fabric like the pattern suggests. I'm thinking it would have been SO much simpler that way. I used a lightweight corduroy for the outside of the backpack, a quilt weight fabric for the lining, and layers of Craftfuse and Wonder Under in between. I had one heck of a time getting the piping sewn in properly with that many layers. I also can't really finish off the seams-too thick for the serger or pinking shears. Eh, I'll just make another if this one falls apart! * Quick note about the fabric since a few of you have asked. . .I got both at Hobby Lobby. The corduroy was at the front of the fabric department with the fall/Christmas-y stuff and the brown polka was mixed in with the apparel fabrics. New project in the works: a quilt! It will by my first so I'm keeping things simple...and small. I'll be making a toddler sized quilt for the kiddo. I stumbled across Lora's shop, Eager Hands when she left a comment here. I discovered an awesome set of one hundred rotary cut 6 x 6 squares of various vintage linens in her shop and had to have it. So pretty! Can't wait to see how this little quilt turns out. I'm sure I'll have a good bit of squares left over to use for other stuff too. All you quilters out there-any tips for a beginner?? Her backpack turned out so precious! I love it! What a lucky little girl! love it!!! great job. Piping is a pain for sure. 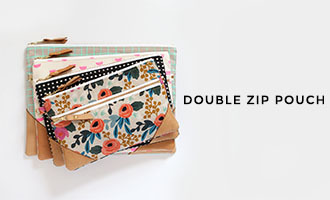 Use oil cloth on the inside and out and then you don't have to serge at all. Lord knows I have enough to sell you some. That is crazy cute! I want one for M now! I'm buying that pattern. Despite the difficulties you describe, the pack looks darling. 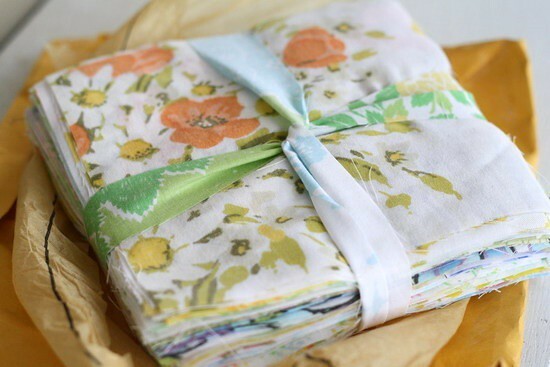 There is a great quilting tutorial on my blog that Kari shared this last month. You should check it out. Biggest quilting tips: get a 1/4" foot for piecing, and DEFINITELY use a walking foot for the quilting (if you're planning to do straight line quilting.) But most of all have fun and don't worry about it being perfect! Enjoy your free time when Syd goes to school! I'm a little jealous . . . Lauren doesn't start for another month. Oh well, it will be here before we know it! I'm loving Syd's new backpack. So cute for school, but I'm sure it was really hard to make! LOVE the backpack. 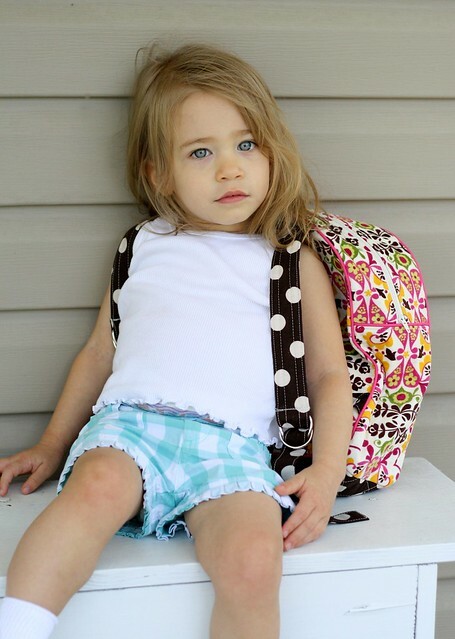 I'd love to make one for my little girl (starting pre-K in two weeks... Eek). I'm thinking it might be above my skill level. Love how it turned out! That is a lot of layers! I am impressed! 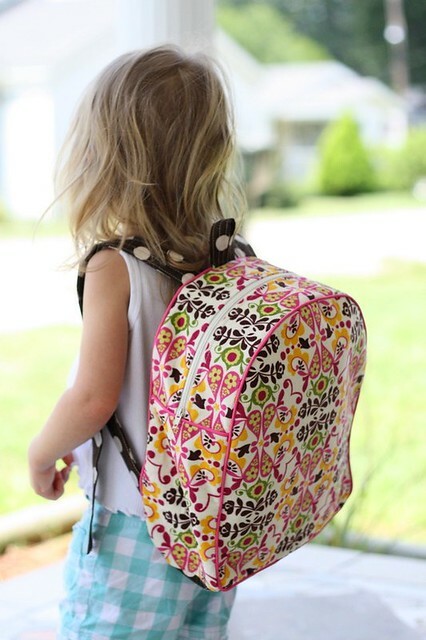 What a pretty, pretty, one of a kind backpack for your little one to wear proudly!! 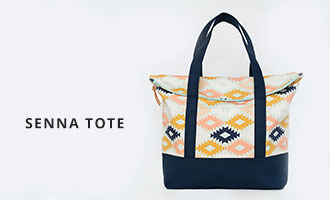 I love your designs and only dream of making such projects on my lonely sewing machine. Hi! I'm following from Sew Much Ado. You're stuff is soooo cute! You are very creative. 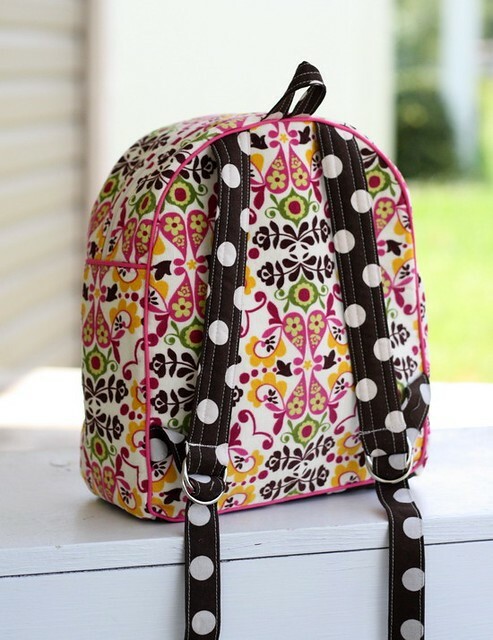 Vanessa that backpack is so precious she is going to have the prettiest bag and all her friends would want the same! I love the fabrics who is it by? WOW! You did a fantastic job. I love it! the backpack looks fabulous!! the fabric combination is awesome! Loves Loves. That was soooo cute!!! I make my Sandy a little one. Thanks for this post. Saw this on pinterest...precious! I love how you made Hobby Lobby fabric so cute!!! Wow! cute babies with cute bags... love this. thanks for sharing the post...!